You may not have heard of YI, but the Chinese firm is fast gaining a reputation for producing some top quality electronics. 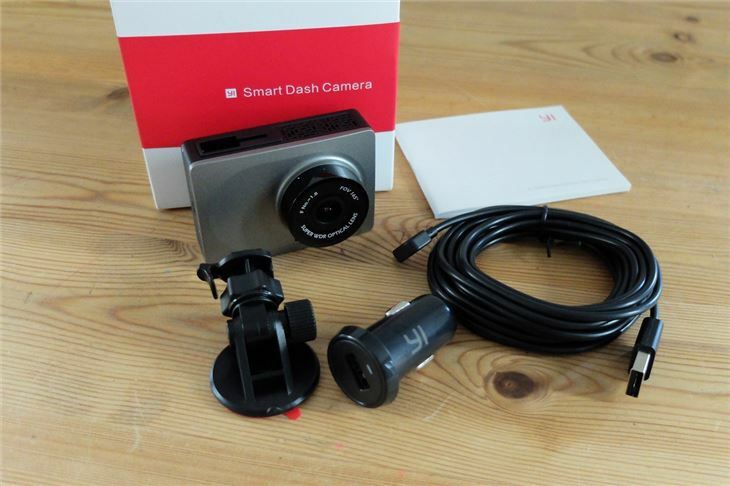 A quick look on its very slick and professional website shows that YI dash cams are not the usual cheap and generic rubbish you often find on Amazon. 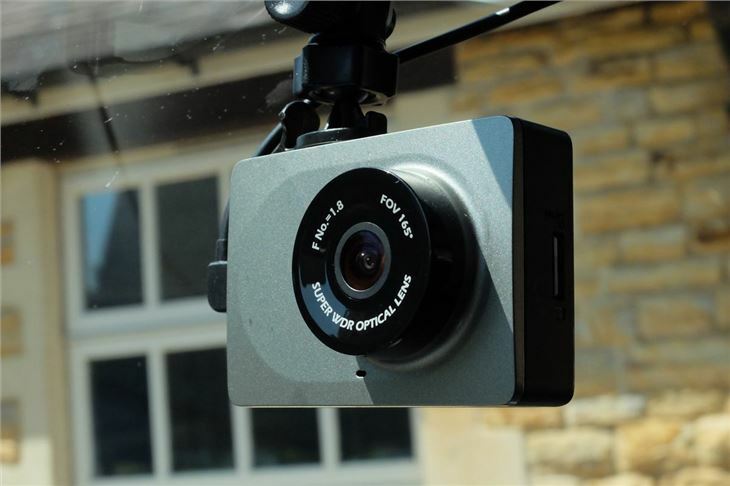 It has several dash cameras in its range and we've already tested the £90 YI Ultra here. 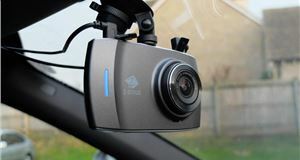 The Smart is cheaper but has an impressive specification for the money with a maximum resolution of 1296p @ 30fps, an 'Advanced Driver Assistance System' and WiFi. 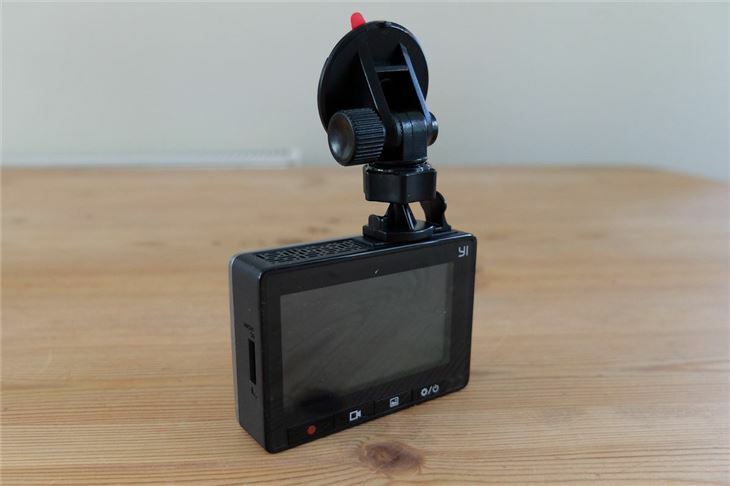 Along with the YI Dashcam app, this means you can view your footage and download it to your phone. The square design has more than a hint of GoPro about it, while there's a 2.7-inch LCD screen on the back and four simple buttons. Elsewhere in the box, you get a USB charger, a 3.5-metre lead and an adhesive windscreen mount. It feels like a good quality camera when you first get it out of its neat looking box. It's not especially weighty but feels solid enough. It's disappointing there's no suction mount though. The adhesive-backed one is fine if you're happy to leave the camera fixed, but not so useful if you want to use it in a different car. Luckily, you can get a suction mount that fits the YI (we found one from Transcend) on Amazon for less than a tenner. Once mounted, the YI feels secure and doesn't shake or rattle on the move. 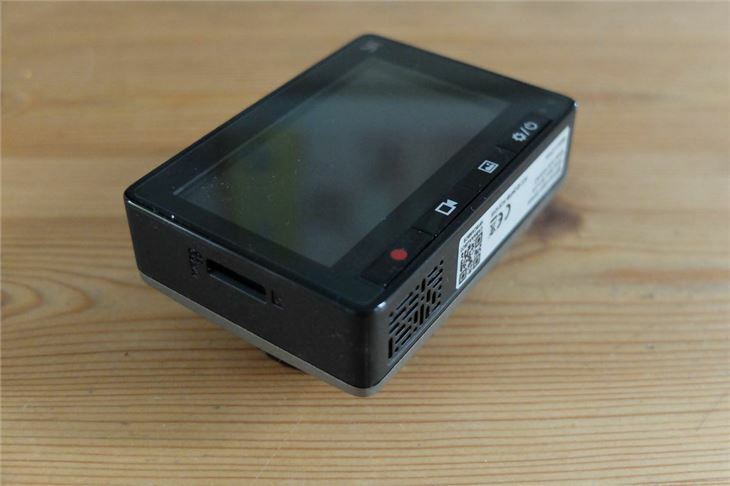 It's a neat looking thing too, and a lot less intrusive or bulky than many other dashcams. The power lead goes in the right-hand side, the MicroSD card in the left - and you're ready to go. 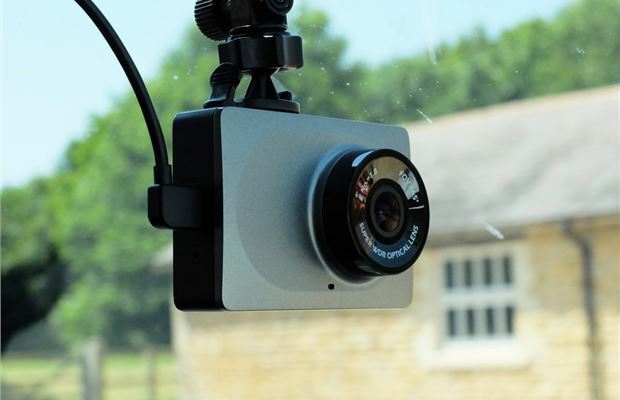 Like most dash cams, the YI is designed to be something you can forget about. It will turn on when you switch on the ignition and start recording immediately. If you do want to play with the settings and go into the menus, you'll find them pleasingly simple to navigate. 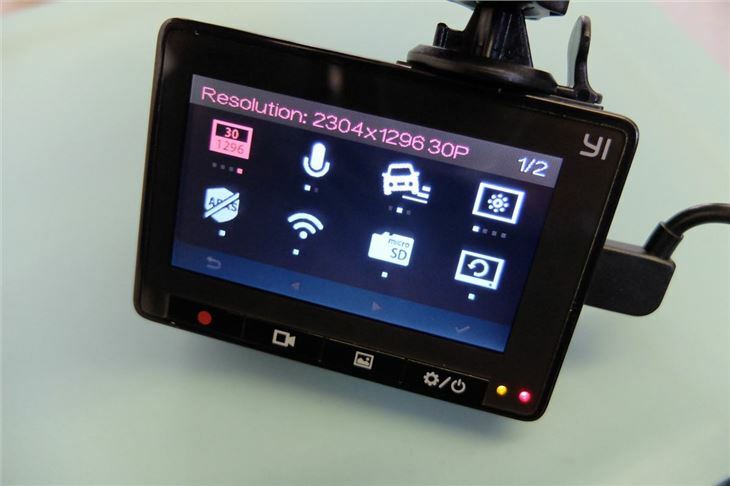 Everything is clearly laid out and labelled, with no confusing submenus - it's a lot clearer than any other dash cam we've tested. But what really impresses is the footage, as you can see above. This is filmed at the highest resolution the camera offers - 1296p @ 30fps - and despite the annoying reflection in the windscreen (thanks Ford Fiesta...), it's clear and fluid. It's no 4K camera but it performs well in bright conditions and at night, adjusting the exposure automatically. 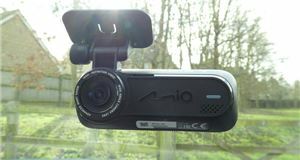 You have to remember this is a £40 dash cam too - we've tested rivals at twice this price with vastly inferior footage. 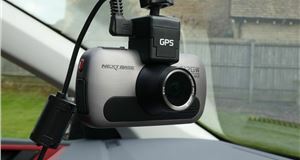 The YI doesn't have GPS, so it won't be able to map your journey or, more importantly, show your speed - if you want that feature then you'll need to look elsewhere. But it does have WiFi so you can review footage on your phone, edit it if you want, and then download it. Useful if you want to email it to people - like the police. Or if you really want to share that great bit of parallel parking you did on Facebook. 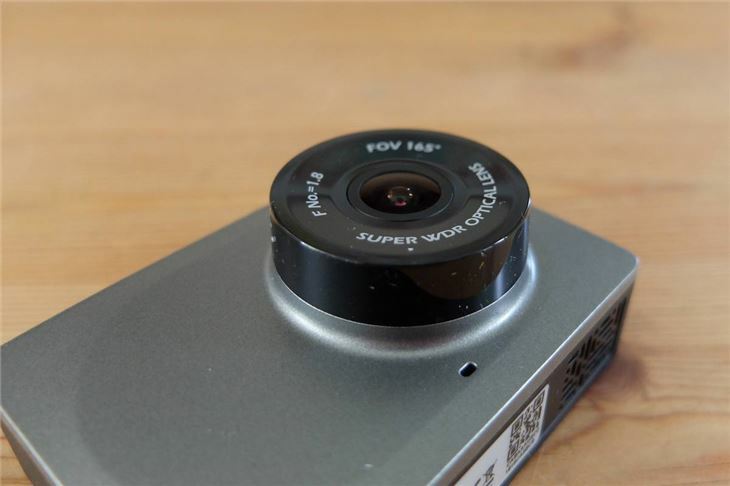 Like the dash cam itself, the YI app is simple to use and feels very professional. One interesting extra the YI gets is an advanced driver assistance system - or ADAS. This consists of a lane departure warning and a forward collision warning. 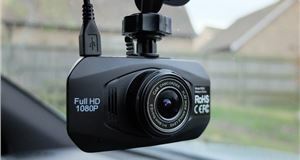 They work by analysing the speed and the distance of the vehicle in front and will alert you if you stray from your lane or get to close to the car in front. Does it work? Not really. It warns you so often that you soon ignore it, for instance, the lane departure warning alert will go off when you approach a junction. We soon switched it off. In a word, yes. 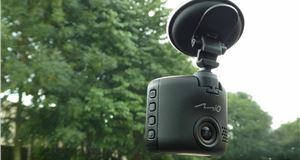 The YI is an excellent dashcam for the money. It's fairly inexpensive but outperforms cameras that are more than twice the price. The footage is very good, it's easy to use with a simple menu layout and is proving reliable too. In our time testing the YI, we had no issues with it freezing or crashing, despite us changing SD cards repeatedly and playing with all the settings. 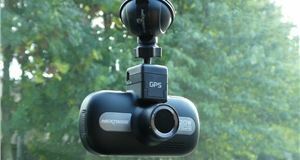 It's disappointing there's no suction mount, plus the lack of GPS is a drawback - but if that's not an issue for you, this is a no-brainer. YI also has excellent customer support and you only have to have a quick glance at the customer reviews on Amazon to see many satisfied buyers. This is one of the best non-4K cameras we have tested and, for the price, is superb value for money.